French Inspirations - New CD! Catherine Ransom Karoly, Flute with Joanne Pearce Martin, Piano A terrific new CD featuring late 19th and 20th century French music for Flute and Piano including many of the Paris Conservatory Examination pieces plus Syrinx and Danse de la Chevre .. 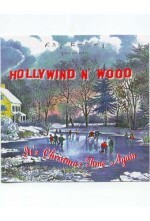 It's Christmas Time Again Compact Disc (HOLLYWIND N' WOOD) Orchestrated by Last Resort's primary arranger Daniel Kelley, HollyWind ‘n Wood has become more popular each year since it was recorded. Evoking Christmases of the past with wood.. Lights, Camera, Flutes! 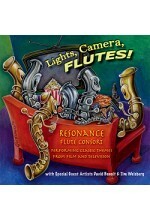 A fabulous performance by the Resonace Flute Consort! Performing Classic and beloved themes from Film and Televison Featuring ~ Three from Irving ~ Cheek to Cheek form Top Hat, Let's Face the Music and Dance from Follow.. Masterpieces from the French Repertoire David Shostac, Flute Antoinette Perry, Piano George Huë Fantasie Benjamin Godard Waltz, Op. 116, No. 3 Darius Milhaud Sonatine Gabriel Fauré Après Un Reve Gabriel Fauré Fantaisie, Op. 79 César Franck Sonata in.. 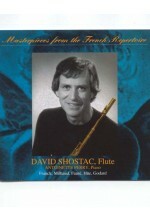 Masterpieces Rediscovered David Shostac, Flute Antoinette Perry, Piano Music from Austria, Germany & Russia Richard Stöhr Flötensonate, Op. 61 Joseph Rheinberger Rhapsodie H dur Salomon Jadassohn Notturno, Op. 133 Paul Graener Suite, Op. 63 S. Shevchen..
Thirty Solos for the Intermediate Flutist Jenni Olson, Flute and Daniel Kelley, Piano This is a great recording of awesome flute music that everyone should own! Tracks: 1. String Quartet in A Minor, Op. 29: II. Andante 2. Water Music, HWV 348: VII. Bourree 3. Ave verum corpus, ..
Timeless Katie Prestia-Schaub ~ Piccolo Martin Kennedy ~ Piano Timeless is a diverse collection of mostly American contemporary music for piccolo and piano. Katie Prestia-Schaub and Martin Kennedy offer a broad array of m..